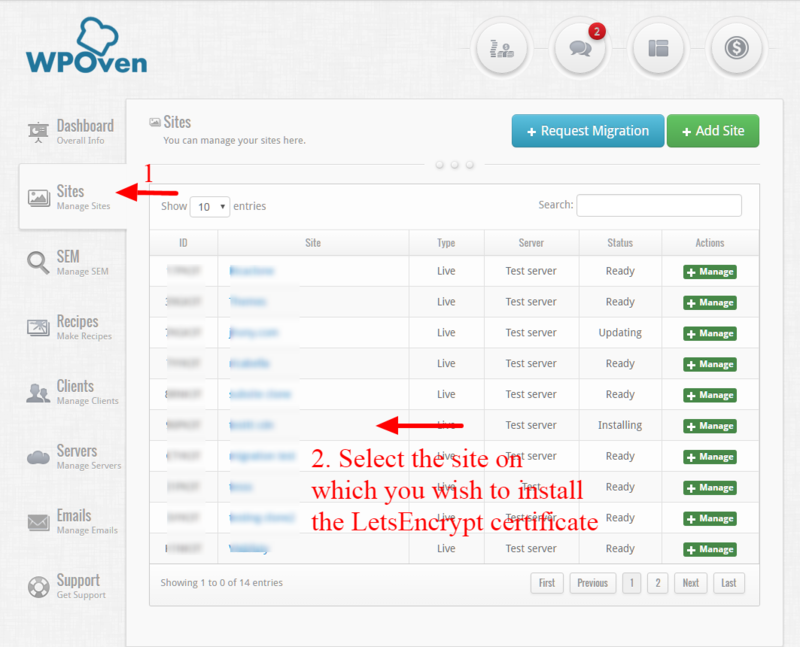 How to install Free SSL from LetsEncrypt ? Using our Free SSL Tool, you can install a LetsEncrypt simple SSL certificate on your WordPress site. The tool can be found in your WPOven dashboard, under the ‘Sites‘ section in the ‘Tools‘ sub section. – The site should not be behind any CDN services like CloudFlare. – Make sure it is NOT a WordPress MultiSite install. Currently the Free SSL tool is not applicable for WordPress MultiSite setups. Step 1 : Login to your WPOven dashboard and Navigate to the ‘Sites‘ Section. From there click on the site you wish to install the LetsEncrypt certificate on. Step 2 : Navigate to the ‘Tools‘ subsection and scroll down to the Free SSL Tool. Click on the ‘Install Free SSL‘ button and that’s it. If you face any problems with the SSL installation or have any queries regarding this, please feel free to contact our support team and we will be happy to help you.